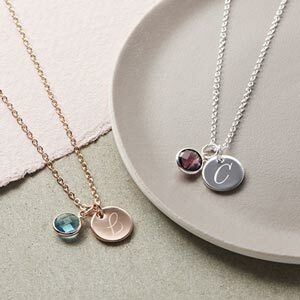 The Personalised Mini Disc Initial Necklace is a delicate contemporary disc pendant that hangs on a fine chain, available in silver or rose gold. A simple and classic necklace that's bound to be adored by all. 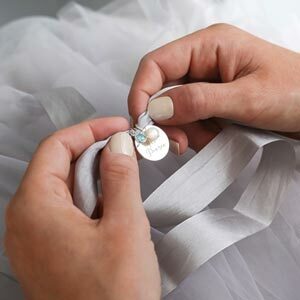 Featuring a delicate trace chain and a mini disc pendant that can be engraved with two characters, the Micro disc is ideal for your children's or your partners initials and can be paired with any outfit for any occasion. So pretty and dainty. 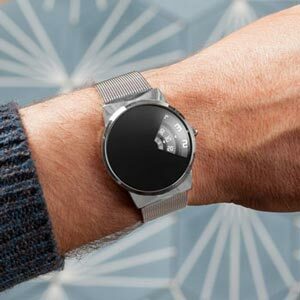 Is a gift for someone and know they will absolutely love it! Great quality product bought for a present. It's a lovely little piece although the mini disc has started to lose it's colour slightly. This was damaged and the pendant would not move to the middle of the chain Thanks for your feedback and we’re sorry to hear of the problems you had with your purchase. We strive to provide items of the highest quality and service and we are sorry that you feel this has not been achieved on this occasion. Please contact us via your order enquiry if you have any additional... Read More. Thanks for your feedback and we’re sorry to hear of the problems you had with your purchase. We strive to provide items of the highest quality and service and we are sorry that you feel this has not been achieved on this occasion. Please contact us via your order enquiry if you have any additional comments or if we can assist you further. We would like to rectify this for you. Engrave deeper so letters are legible please. Beautiful item. I brought this as a present for my sister and she absolutely loves it. Great gift for my mother.